It wasn’t until I was an adult that I traveled internationally. My family went on one vacation my whole life. Even still, we took a lot of day trips locally for various events so it did feel like I was traveling a lot. 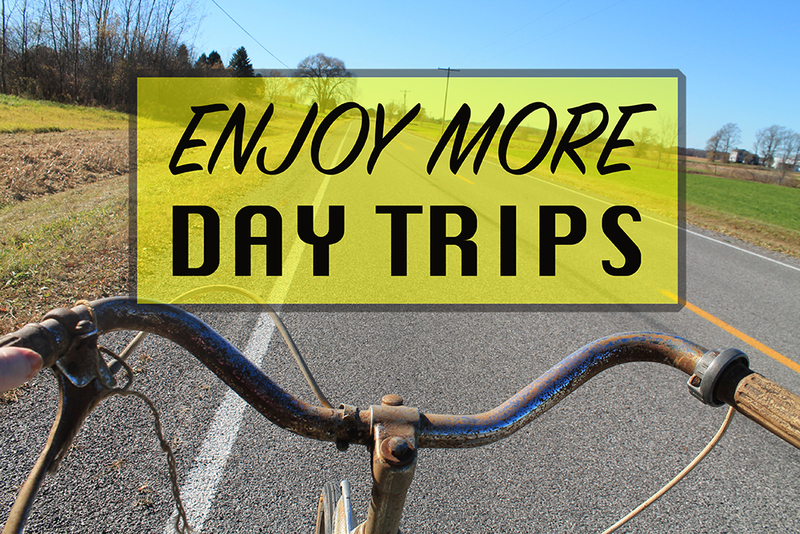 Day trips are a great way for those who are restless to fulfill their need to travel without breaking the bank. So take day trips, and take them often! And I know what people say, “there’s nothing to do around here,” but I highly doubt it. I grew up in a county where the biggest city was constantly claiming to be a “micropolitan.” Yes, they made up a word to make it sound like they were a real city with people in it. Despite living within 50 or so miles of there my whole life, I’m still finding things I didn’t even know existed around here. Here are my tips on how you can start to find new, “stuff to do,” around you too. It only took a minute or so for me to find all of the public boat launches and fishing spots in my state. Kayaking is becoming more and more popular so it’s easy to find a boat for less than $300. If that’s too much, then go out and get yourself a $50 fishing pole and enjoy just sitting outside with some friends. In some states you’ll need a fishing license, but those are extremely easy to get. I guarantee there is a tourism department regardless of how rural your area is. You should be able to pickup some brochures or give them a call for some ideas as to what you can do locally for fun. If you don’t like contacting people, and of course no judgments, then do some internet searches. No, I don’t mean checking trip advisor for a, “Top Ten Best Ever Things You Have To Do Before You Die,” lists. Go into Google or Bing maps and search for attractions around your address. This is how I found out about the eternal flame near me! Maybe you went to a local park years ago and haven’t been back since. Why not revisit it? This time you could add a new goal like bird watching or tree identification. I know it sounds lame, but it will grow on you, promise. There are also all of those place people hear about their whole life, but never make time to go to. Mine is a waterfall nearby. I know it’s there, people have told me about how great it is, but for whatever reason I’ve never bothered to visit. I guarantee there is at least one person with a website claiming something near you is haunted. It doesn’t even matter if you believe in ghosts, the stores you’ll hear about the location will be entertaining on their own. Maybe it’s a scorned lover or a tragic murder that’s moving dishware! Keep your mind open, don’t be insulting, and you’ll enjoy yourself. Facebook is a great way to see what events are going on around you. It might be a movie theater showing a special movie marathon or it could be a local band playing their first concert. You just don’t know unless you’re looking! Facebook even tries to guess what you might be interested in. It’s the one time data mining pays off for the users! So don’t make excuses for not going on day trips. I’m sure there are plenty of interesting things around you to do. Just look a little harder.